If you struggle to stay organized in your personal or business life, Evernote may be the tool that you need. While the design of this enormously popular App is simple, the power behind it shouldn’t be understated. It can help you stay organized, be more productive, and ultimately accomplish more. It is estimated that from 1995 to 2015 the number of internet users grew from 16 million to 3,366 billion. That is over a 20,000% increase in a 20 year timespan, and this massive increase has been accompanied by a constant flow of new and up-to-date information that can often be overwhelming. The continuous flow of knowledge that we are subjected to is often the cause of individuals suffering from ‘information overload.‘ Feeling overwhelmed, unorganized, and/or forgetful are the symptoms we exhibit as a result of the massive amount of information available to us. Having hundreds of thousands of sources on a given topic is definitely not a bad thing, but it is often challenging to stay organized and remember the important pieces of information we encounter. Do you find it hard to stay organized or remember important work, family, or social information? Do you regularly find pieces of information on the internet that you want to remember, but forget because of the continuous barrage of new and enticing articles and websites? Is it hard for you to stay on task? Do you struggle to maintain cohesion with co-workers as you work on projects together? If you answered yes to any of these questions, then the Evernote App may be just what you’re looking for. 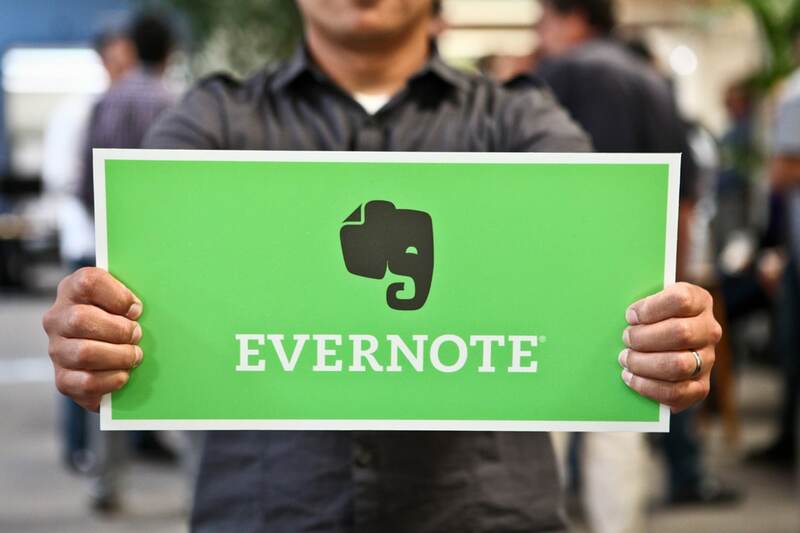 In 2007, a team of individuals, trying to answer questions such as these, founded the technology company Evernote, and since the company’s inception, few other software applications corporations have seen comparable growth. Today, there are over 100 million users who use the service as a cross-platform application to do things such as take notes, stay organized, save important pieces of information, and share ideas. Works Across all Devices: The Evernote software system automatically syncs your notes and research across every device that you own and also stores these notes on the Evernote Cloud. Once you enter information into the App, you can easily find it by accessing your account on another device. If you lose your phone, or break your tablet, there is not need to fear because your information will be safely stored and available to you whenever you have access internet access. Store Information in a Variety of Ways: One of the most useful components of the Evernote software is that you are able to record notes in a variety of ways. There is not only the standard typing feature common to note-taking systems, but others unique tools that help you collect the memorable information you encounter. You can save pictures, create voice memos, and even clip videos, images, or article snidbits from the web. By downloading a web browser extension, Evernote Web Clipper, you can record any important piece of information that you come across while surfing. Easily Find the Information your Looking For: For individuals who like to regularly take notes, sorting through your material to find a particular piece of information at a later date can often be troublesome. Evernote fixes this problem by giving individuals the option to put their notes in stacks, or broader categories, to keep material organized. Individuals also have the ability to use keywords, or tags, to search for the material that they need at any given time. Share with other Evernote Users: Evernote also allows you the ability to share particular notes or documents with other Evernote users. If you want to send a creative craft idea that you clipped from the web to a friend, or share your latest research about your company’s quarterly projections with a co-worker, Evernote has you covered. There are a number of Evernote Business centered features that allow company employees to collaborate on projects, annotate attached PDFs, scan business cards, turn notes into presentations, and search through various office documents and attachments. The Evernote App is a great way to bring cohesion to your, social, family, and business lives. The features that we listed above just scratch the surface of Evernote’s organizational power. You also have the ability to create reminders, to-do lists, track expenses, and even encrypt sensitive material. There are 3 storage & feature plans that Evernote offers. Their Basic version is free and comes with the software’s standard features and 60 MB of upload storage per month. The Plus Plan gives users 1 GB of data storage space per month and has a number of additional features. The Plus Plan costs $24.99 per year. Finally, the Premium Plan, which is ideal for larger organizations, offers users 10 GB of new upload space per month and comes with additional features that can help teams collaborate together. If you are ready to finally overcome information overload and get organized, we highly recommend giving Evernote a try. Conscious Question: Who Am I?